HOLLYWOOD, CA, August 2, 2016 – Avalon, one of Hollywood’s best and most historic landmarks that hosted the first West Coast performance of The Beatles in 1964 and voted Best Dance Club by LA Weekly last year, pulsated with theatrical excitement, imagination, energy and magic as avant-garde Filipino designer Rocky Gathercole unveiled his electrifying collection before hundreds last Thursday at “Rock The Runway”, a fashion fundraiser for Bantay Bata (Child Watch), an ABS-CBN Foundation International program for abused children. 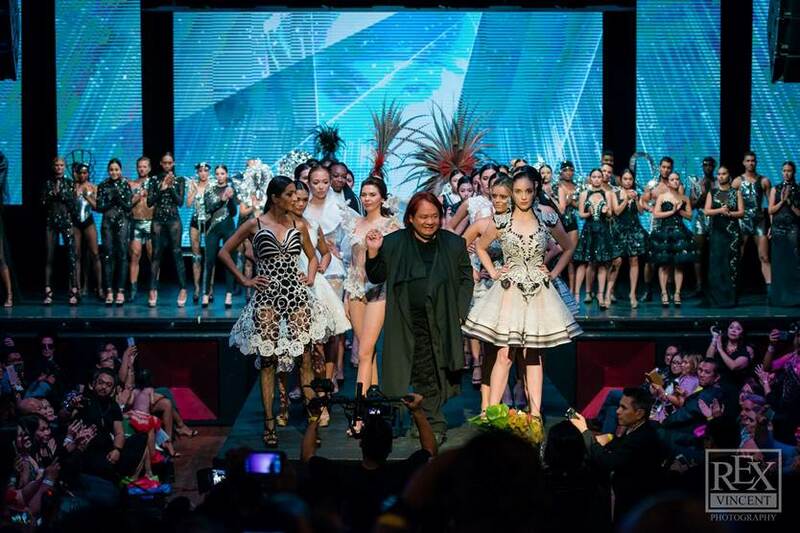 Designer Rocky Gathercole acknowledges the applause of the enthusiastic crowd at curtain call on stage. The show – a live multimedia experience directed by award-winning John-D Lazatin – featured over 70 models.